The dream of sailing a boat on your own can now become true. 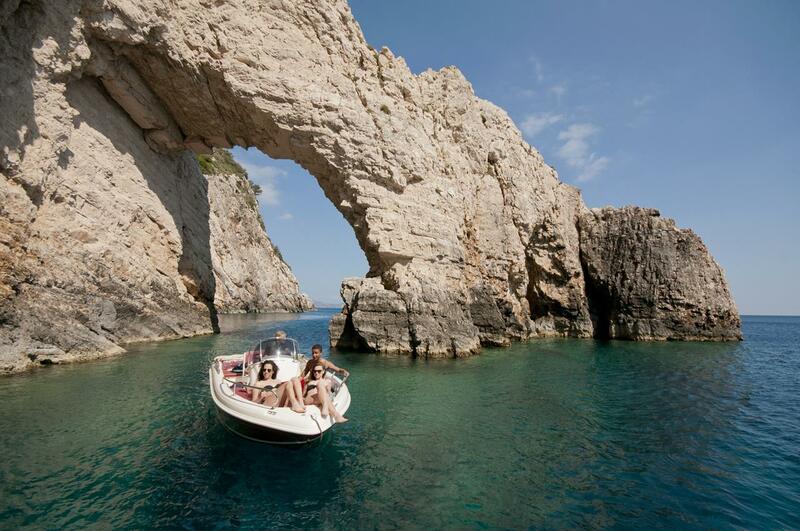 Book a trip with us renting a private boat just for you and your party gaining an unforgettable experience. Your safety is granted. The boat sets off from Limni Keri. There, our experts will give a short training and a trial - go so that you can sail the boat on your own. 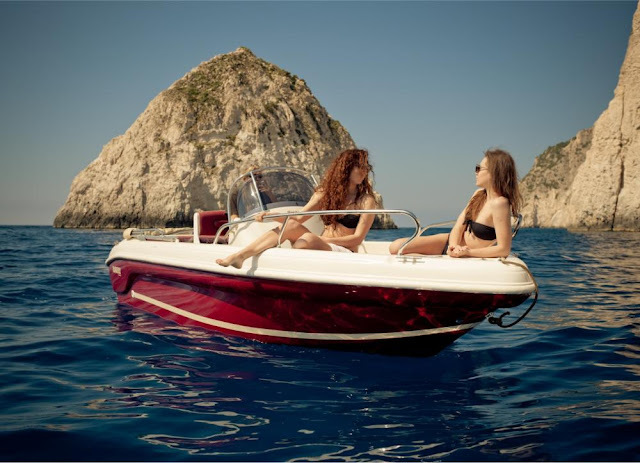 There is nothing to worry about as both the boat and you are fully insuranced. A GPS gadget is also available while the sea patrol will offer their help if it is needed. In case you wish to have a skipper, do not hesitate to ask for one. Our experienced captains are willing to guide you to the most beautiful Zakynthian spots. The first stop takes place in Marathonisi, an island that has the shape of a turtle. You might be lucky enough to see the turtles swimming. Next, you will see a tiny island called Cameo, a place ideal to enjoy a drink and admire the panoramic view. Marathias beach and Kamares follow to fascinate you with their natural beauty while a bit later you can stop at Oasis beach for a dip in the crystal water and amazing photos. The colors are really impressive in Keri Caves. The way the light reflects on the rocks and the sea creates magical scenery. Here the sea water is ideal for diving. 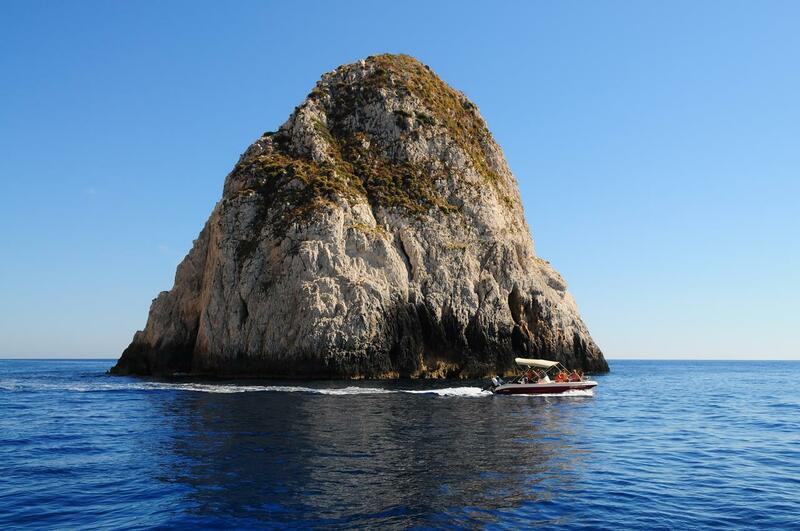 The final destination of this trip is Mizithres two huge rocks that stand in the middle of the sea looking like they have fallen off the sky. After Mizithres you return to Limni Keri as the trip ends. Free transport: from and to accommodation for Tsilivi, Kalamaki, Laganas, Agios Sostis, Argasi, Zakynthos Town, Tragaki. For the resorts of Alykanas, Alykes, Amoudi, Kalithea,Psarou, Gerakario the pick-up point is at Popeye's restaurant in Tsilivi. For the resort of Vasilikos the pick-up point is at the church of Agios Efstathios in Argasi. July & August: € 170 (fuel NOT included in the price) / Skipper on extra charge € 30 . 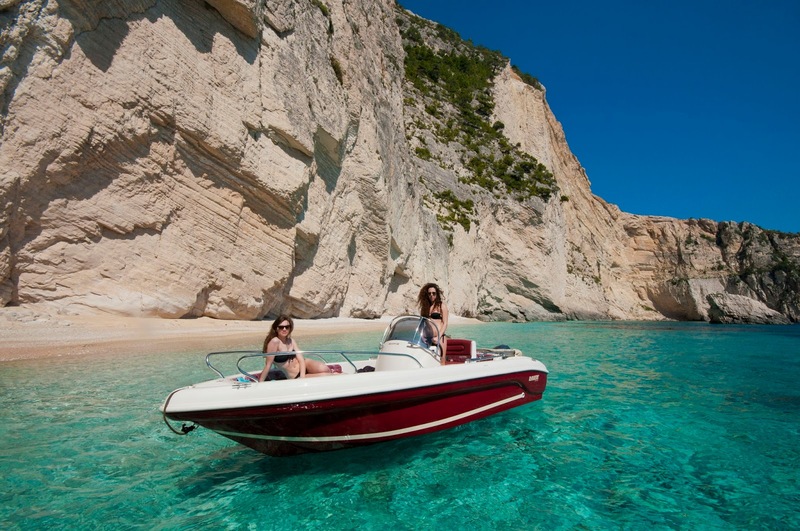 Tags: private boat trip to Mizithres, boat trip with friends to Mizithres, boat trip for couples to Mizithres, boat trip to Laganas Gulf without skipper, boat trip from Keri Caves, private boat trip to Marathonisi, sail the boat on your own.